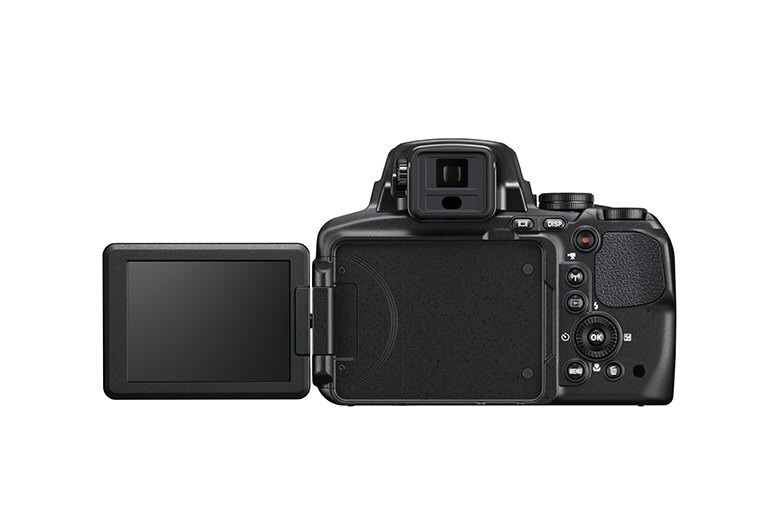 The articulating screen makes it easy to capture images from a variety of angles. 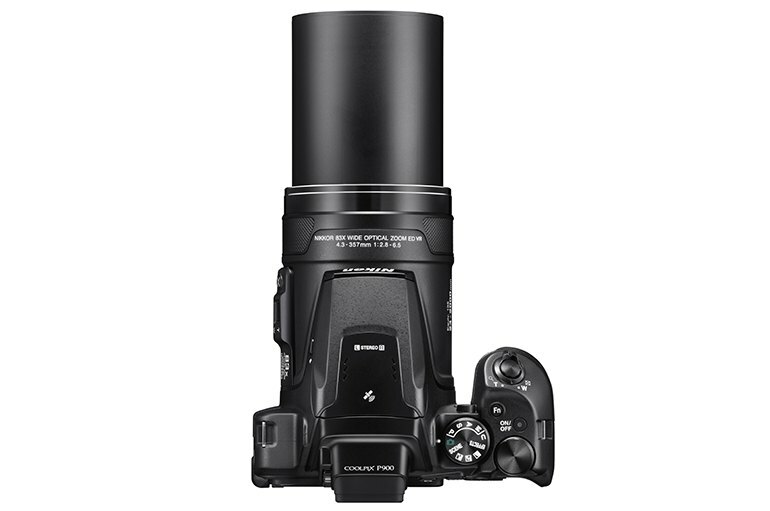 An industry-leading 83x zoom offers a tremendous capture range of up to 2000mm. The camera has up to 7 frames-per-second burst mode. 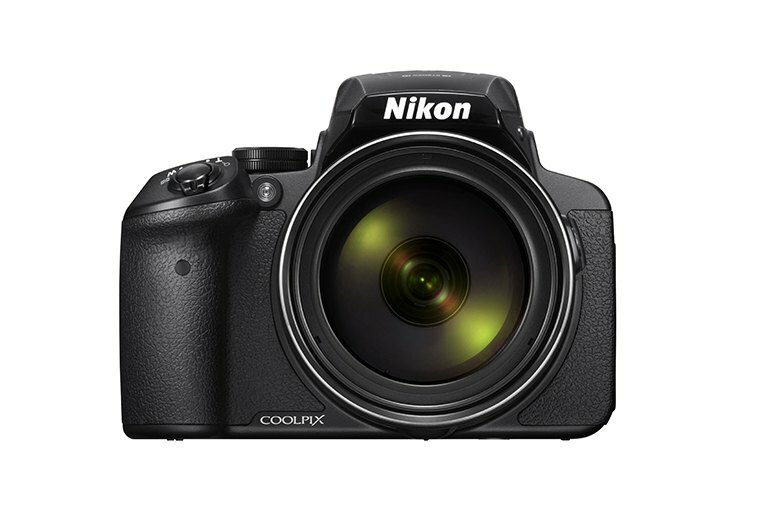 The Coolpix P900 lacks the ability to capture RAW images, a no-brainer in a camera of this price and capability. The lens loses clarity and detail at its farthest reach. The camera struggles with focus in low-light situations. 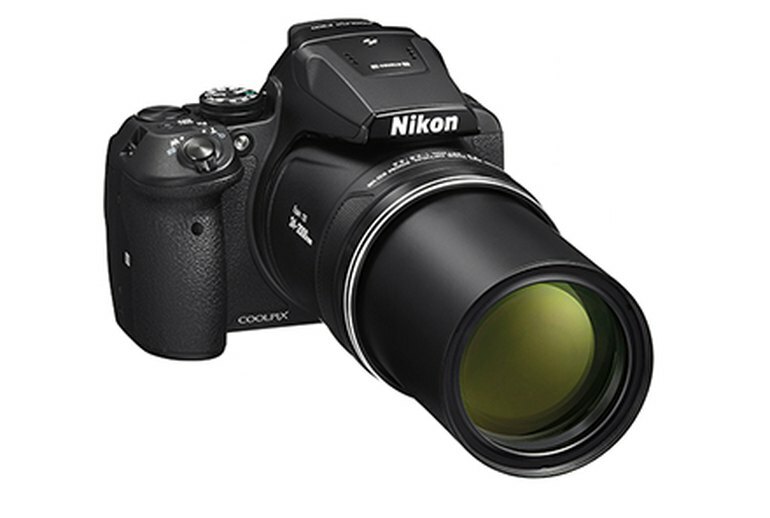 The Coolpix P900 takes megazoom to the max with an 83x optical zoom lens, the largest of any camera at this time. The lens spans 24mm on the wide end to 2000mm long--crazy versatility for a single fixed lens camera. The camera has a 16-megapixel sensor, built-in GPS, and Wi-Fi and NFC connectivity for easy photo sharing. he P900 is extremely versatile, with macro shots being just as easy as telephoto snaps. We'd like to see a quick menu added to the navigation. Noise reduction and the sharpness at the end of the lens could be tweaked some, but the Nikon P900 is truly an amazing camera considering everything that has been packed into a small-ish camera. Boiled down, if you're shooting in conditions with plenty of ambient light and can keep the zoom reach to roughly 1800mm and shorter, the P900 can really deliver the goods. We found that the onboard Vibration Reduction system works very well and is a great benefit when shooting at longer focal lengths. And while the camera is fairly large and bulky out of necessity, it has a nice balance and a very secure feel in the hands. The P900 is the longest-zoom bridge camera in the world – for now, at least – but it's also big, heavy and expensive. Image quality at shorter focal lengths is good but falls away at high zooms settings. Here on the Nikon Coolpix P900 we have an 83x optical zoom, which is currently the market leader. However, to get to that kind of ratio, you need to have a huge camera and that won’t be to everybody’s tastes. It’s great to have full manual control available here, but it’s a real shame not to include raw format shooting on a camera at this price point and the intended audience. 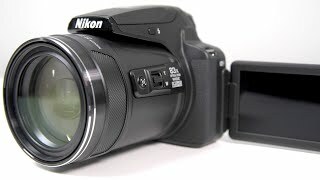 For those that want the most optical zoom available, and a camera that can capture everything from 24mm wide-angle all the way to 2000mm at the telephoto end, thie Nikon Coolpix P900 is recommended. 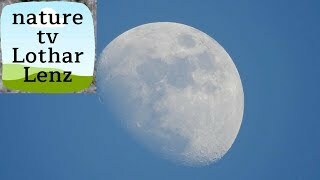 It can capture wide angle scenes and zoom far -- very, very far -- to capture distant objects. It's a great idea for a camera, and one that works fairly well, but it's not without a couple of issues. There's some pretty aggressive noise reduction going on with its 16-megapixel images, which limits the detail the lens can muster at moderate ISOs, and the camera is unresponsive during burst shooting. 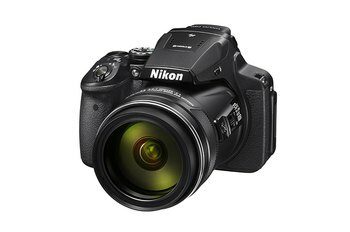 The Nikon P900 has the biggest zoom on the bridge camera market. Unfortunately, that's more about marketing than picture quality. It's only good up to 400 ISO and, ultimately, the zoom is more of a liability than an asset. 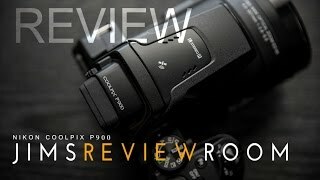 The Nikon P900 is a camera that tries to do everything from macro to supertelephoto, and does a surprising number of things well. With its 24-2000mm equivalent zoom, it doesn’t just replace a whole bag of lenses, it replaces a trunkful. Bird watchers who are not looking forward to spending a ton of money on big and heavy gear will be delighted by this camera. The Nikon Coolpix P900 ($600), meanwhile, has the greatest range of any megazoom. 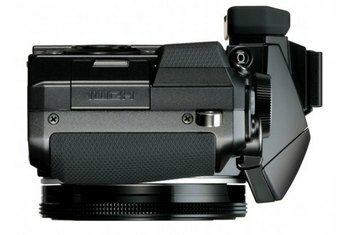 This isn’t a pocket-size camera, and its massive 83x zoom—the optical-zoom equivalent of 24mm to 2000mm—explains why. 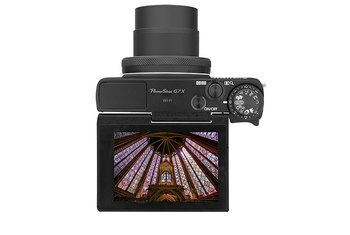 The Coolpix P900 reflects some design tradeoffs; but if you’re after the longest reach you can get, this camera is for you.